Do you own a Flat in an Apartment / high rise building? (Or) Have you booked a Flat which is under Construction? Then you need to know the importance of documents like Completion Certificate (CC) and Occupancy Certificate (OC). Occupancy Certificate is also known as Possession Certificate (PC). As these certificates are not required while registering a property, most of the home buyers tend to overlook or ignore collecting these documents from their previous owners or builders of the apartment. I can confidently say that there are thousands of apartments in cities like Bengaluru, Mumbai or Delhi which have been occupied without any Occupancy Certificates. In many of the cases, the building plans of these apartments are approved but they do not get OCs due to not sticking to the approved building plan or due to other violations. Obtaining Occupancy Certificate and Completion certificate can be mandatory under respective State laws. As per these state laws, one cannot legally move into a building unless the developer gets an occupancy certificate from the respective local administrative or civic bodies. The corporation or municipality can ask the apartment owners to leave such illegally occupied flats or impose heavy penalties in the name of ‘regularization’. In this post let us understand – What is Building Completion Certificate? What is Occupancy Certificate or Possession certificate? What is the difference between Occupancy Certificate & Completion Certificate? What is the importance of these documents? How to get Occupancy Certificate? What is Building Completion Certificate (BCC)? Upon the completion of the building construction, the builder or the developer of the apartment has to apply for the ‘building completion certificate’ with the local authorities (like BDA or BBMP in Bangalore or PMC in Pune). If the building construction is completed as per the building approval plan and if it also meets other building standards like distance from road, height of the building, if rain water harvesting system is in place etc., the civic authorities will issue CC. What is Occupancy Certificate or Possession Certificate? Once the builder receives the Completion Certificate, they have to obtain Occupation Certificate from the civic bodies. OC certifies that the building has complied with all the required building standards, local laws and it is safe to occupy. Occupancy certificate is issued by local municipal authorities or building proposal department that provides no objection to occupy the building under reference for its specified use. The OC is issued only once the building has been completed in all respects and can be occupied. The legal possession of the Flat by the Owner is valid only with the Occupancy Certificate. So, the main difference between Completion certificate & Occupancy Certificate is that CC shows that the building construction is done as per the plan which was approved by the concerned authorities. And after getting this, occupancy certificate will be given to all buyers so that they can take possession of their Flats / properties. Who can apply for BCC or CC ? – Builder has to apply for CC. Who will issue BCC? – Local civic bodies will issue BCC. Who can apply for OC? – The builder has to obtain OC. However, the Flat owner can also apply for OC. If you have already occupied your FLAT without OC, you can approach the Local Corporation or municipality and apply for OC. If the building has been constructed as per the approved plans, building standards, fire safety standards and if it also has BCC then you can get OC in 30 days (legally). However, the law says that if the building has been constructed without any plans it cannot be regularized (if there are structural deviations) and OC may not be issued in such cases. Copy of building sanction plan (building plan approval copy). 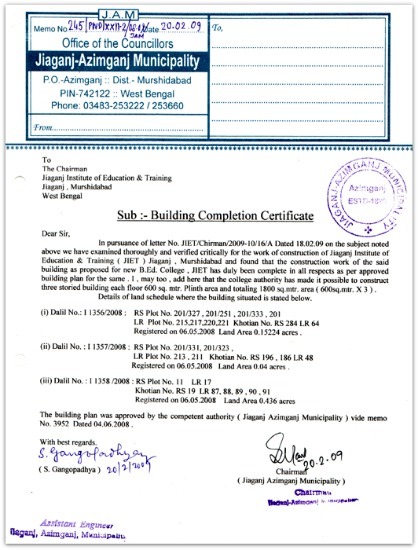 Copy of Building Completion Certificate. Who will issue OC? – Local civic bodies will issue OC. Kindly note that buildings which have deviations beyond legally allowed limits can be treated as illegal constructions. The local civic bodies may not issue Occupation Certificate in these cases. Why CC or OC are important? Is it safe to buy a flat without OC/CC? To claim Income Tax benefits on your home loan, your employer may ask you to submit Occupancy Certificate along with the home loan statement. Occupying a property without an OC is considered as illegal and local civic bodies can ask you to vacate the property. You may have to face trouble in getting water connection or sanitary connection or electricity supply connection. Most of the financial institutions may insist on Possession Certificate to sanction home loans. You may find it very difficult to find a buyer in case if you wish to sell your Flat in the future. Without an OC, it may be very difficult to obtain Khata Certificate. Can Builders issue Partial Occupancy Certificate? – When there are blocks or phases of large projects to be developed with varying completion dates, the concerned authority can grant a partial occupancy certificate for the completed phases/blocks. After the completion of entire project, Partial OCs are replaced by final OC (Consolidated document). Do note that it can be a tough task to get a home loan with a Partial OC. If your builder is not obtaining OC, you can issue a notice to him to apply and handover the required documents. Failing which, you can also approach a consumer forum or can file a writ petition. Do note that obtaining Occupancy certificate for an independent house (row house) is not mandatory. A builder can get a provisional building completion certificate from local authorities. But do note that this is valid for six months only. He has to obtain final building completion certificate. Most of the errant builders may have good connections and they may easily escape through various loop holes in the law. So, end of the day it’s the home buyers who end up suffering for no fault of theirs. Be extra cautious when you are buying Flats (even if the builders are reputed ones). Check out the Building Commencement Certificate. Also, do insist on obtaining Completion Certificate and Occupancy Certificate (Possession Certificate) from your builder or owner. If these documents are not available with the seller or builder then there is every possibility that the building may not be constructed as per the approved plan or local building standards. If you are a new flat owner, insist on an Occupancy Certificate from your builder before you occupy the property. If you have already occupied the property, get your OC at the earliest. You may check with other Flat owners and can apply for OC as a group or through your Residents’ Welfare Association. I believe that Occupancy Certificate should be made mandatory for the registration of Flats. It can also be made mandatory for getting water, sanitary and electrical connections. This can make a huge difference to buyers of Flats. All that is needed is Political Will. I hope you find this post informative. Kindly share your views on this topic. Hi i have a complicate query. i have booked 2bhk flat in 2014 and paid around 17 lacs towards the flat. somehow construction was stopped for 1 yr and due to miscommunication we cancelled the flat. At the time of refund somehow builder negotiated rate again we retained our flat rather booked 3 bhk. Now flat is almost ready but buildings final work going on. in between we paid balance with gst. the 17 with tax rate in 2014. according to new rule the gst is 5per. but the builder is charging 12 for total amount of flat with demand letter dated 14.03.2019. how to handle this situation. do i have to pay 12 gst on total amount. Thanks in Advance. Our complex is a big Project comprising of 30 HIG Blocks/ towers and 53 MIG Blocks / towers and 12 LIG Blocks / towers to be constructed in phases. Phase I of the project comprising of 23 HIG Blocks/towers has been completed. The Blocks / towers in this Phase were constructed on various dates between 2014 and 2019. The purchasers of flats in these towers were handed over to the flats on receipt of the Occupancy Certificates on different dates between the above stated period. These occupancy certificates issued by Municipality on different dates are silent about the fact whether they are partial or not. This was commented in my earlier post. Now the builder is taking a position that the Phase has been completed as the completion/ occupancy certificates of the towers were already obtained and the Phase should not come under the purview of West Bengal HIRA Act, 2017 ( eqivalent to RERA Act ). But in my opinion till the Project Completion Certificate and Occupancy Certificates of the towers are received from the local Municipality, the Project will fall under HIRA Act. I request for your considered views. Suggest you to consult a local civil lawyer in this regard. I have taken a flat in one of the blocks/ towers in a project which is to be developed in phases and each phase is to be completed on different dates. I have receieved a copy of the OC receieved by the builder from municipality for my tower which does not mention whether it is partial occupancy certificate or not. However the project is not completed and all towers are also not constructed. What is legal status of my flat in my tower regarding occupancy certificate ie whether it is partial or completed? Dear DIPAK ..Mostly it can be a partial one. I am planning to purchase resale apartment which has A khata for land and B khata for apartment but they have received Occupancy Certificate and Completion Certficate. Owner is telling don’t worry A khata we will get it down the line. I am confused couple you please help. Is it ok to proceed with B khata apartment? Mostly the Apartment has a higher % of deviation from that of the sanctioned building plan structure. Kindly take legal advice from a civil lawyer..
Kindly consult a civil lawyer.. Expenses after that have been basically on levelling the ground, wire fencing, then boundary wall, frequent travel from Delhi to Pune. The long term capital gains tax will need to be calculated. fair market value as on 1.4.81 is to be ascertained. I need to offset the expenses on house construction against the sale of pune plot. New house is in my name. Completion certificate is being applied for the same. Please advise on LTCG AND utilisation of sale of pune plot amount after about a month or so. Till Financial year 2016-17, the base year used to be FY 1981-82. To calculate the capital gains at the time of selling any property purchased before 1981, its purchase price is now calculated on the basis of the fair market value of 1981. Calculation at the fair market value of 2001 will increase the cost of acquisition and lower the capital gain. Suggest you to kindly consult a CA for exact Capital gain calculations. May I know your exact query? If I enter in to sale agreement for sale of flat before getting o.c without advance amount and total amount will be paid after receipt of O.C ,and get it registered,is it necessary to pay GST? I believe in that case GST wont be applicable.. I am planning to buy a 3BHK in Bangalore. Its old property approximately 15 years old. The owner has all the necessary documents like A khata, property tax paid till date and EC but doesn’t have occupancy certificate. When I queried him he saidthat the construction plan for J M building was approved by the HAL Sanitary Board in the late 90s/early 2000s. This was before the Murugeshpalya area came under the purview of the BBMP. Occupancy Certificates were not required at that time. He has also checked with a couple of the office bearers of the Residents Welfare Association who confirmed the same. It has a proper A-Khata. In addition, the residents of the building are paying property taxes (this is not allowed in the case of illegal structures). Further, financial institutions like LIC Housing Finance, State Bank of India, and HDFC have already sanctioned property loans for some of the residents? I am confused what should I do. Should I buy it? You may go ahead with this deal, but do consult a civil lawyer as well. I have one question. if builder has not completed his project of 7 building. among 7 building he has completed 4. Also he has not given all the amenities which he has promised earlier. So can he gives completion certificate and possession certificate of this completed 4 building? My question is about GST calculation. There has been news circulating since 2 days that a decision will be made in Jan 2019, to reduce the GST of under construction flats for which completion certificate is not issued, from 12% to 5%, due to the fact that most of the builders are not giving the Input Tax Credit(ITC) back to the buyers. Currently my builder is considering 12% as GST, of the all part payments that I’m paying them. I have paid 60 Lakhs so far of which 12% which is 7.2L was calculated as GST. If I go for registration right now, I have to pay 12 % GST on flat cost plus 3.5 % as registration charges as this has not obtained completion and occupancy certificate. In this case, I have wait for the Input tax credit(ITC) from the builder credited back to buyers, which may be a question mark. If I go for registration after the decision has been made in Jan 2019, there is a doubt whether the builder will consider only 5% GST, or they may say 12% GST collected so far has been credited to the Govt, and I have to wait for ITC. If I wait for the completion/ occupancy certificate to be issued, there would not be any GST as its not in construction stage, but the registration fee would be charged at 6%. The total effective charges will be only 6% in this case as there is no GST. But what will the builder do with amount that he collected as 12 % GST in all my payments done so far. Can you help me decide, which would be better way to proceed in above 3 cases, and also help me understand whether the GST that the builder is collecting from buyers is actually applicable only at the time of registration? If yes, will the builder give the GST collected back to buyers, with out having to wait for ITC. I am not sure if this new revision of GST rate will be retrospective in nature. So, your previous payments may still have 12% GST rate and your builder may have to pass on the Tax credit (if any). When is the OC expected? OC is expected in feb19. If the Agreement allows you to wait till Feb then it makes sense to save some money, right?? After GST implementation i have purchased under construction independent house , do i need to pay GST? if yes, how much? Builder is asking for 12%. Yes, the effective rate is 12%. 1. Can municipality charge taxes to the flat owners if there is no cc or oc issued to the builder but the flat owner has taken possession. 2. Even if the municipality taxes the flat owners, who is supposed to pay the taxes, flat owner or the developer? 3. Can developer collect maintenance from the flat owners in case cc/oc is not issued to the building. 1 – Yes, they can..
2 – The Flat owners..
3 – Has the society been formed? Answer to your item no. 3 above is no. However, do you think that the society can be formed without CC/OC issued to the building? We have noted that the authorities are charging Water and electricity at the commercial rate as if construction activity in progress, the reason being CC/OC has not been issued by the authority. Are we supposed to pay for this exorbitant charges which are actually on developers account? Developer has issued a letter at the time of possession that he shall be responsible for the consequences for handing possession without OC. I believe that society can be formed without OC/CC. But, as they are charging high maintenance cost, you may object. Suggest you to kindly form as a group with other Flat owners (informal group) and try to oppose this move. Does RERA applicable to us? Our building has been completed sometimes in 2014, though no CC/OC is issued, whereas RERA came into effect from May, 2016. According to the Central government RERA rules, all those projects which have not received the competition certificate will come under the ambit of the RERA but finally it depends on the rules notified by the state government also. You may take help of a civil lawyer or contact your State RERA. extended building plan sanctioned in the year of 2005 under bengal municipal act for personal residential accommodation and occupied after construction providing all amenities and enjoying till this day, 2109. Is the building illegal without having occupancy certificate? Is it an independent house? Builder is forming society without giving possession letter. is it possible to do this or is it according to law? second thing I want ask you that, If builder is not giving any attested certificates to members can I ask society committee to bring CC,OC or any such certificates for me after society formation? will they follow up with builder or government bodies? Yes, a Society can be formed without issuing Possession Letter. Society can request for valid CC/OC from the Builder. Hi Sreekanth, We are planning to purchase a flat, in which Builder has constructed 5 floors instead of 4 floors, Shall i get bank loan? and PM housing subsidy ? also i want to know that, is there any problem in future in buying such a property? The flat which you are planning to buy is in which floor? As mentioned above, “Do note that obtaining Occupancy certificate for an independent house (row house) is not mandatory.”. So if builder has completed the construction of a row house (in 2016) before GST and also not registered with RERA, and also don’t have Occupancy Certificate (OC), does GST applicable for such row house? As OC is not applicable, can GST be saved? If yes how could we save the GST? As construction has been completed before the introduction of GST, its not applicable. But builder doesn’t have Completion Certificate also. So, what document should be submitted/showcased to the government officials to state them that GST is not applicable on this property? When was the Registration done? As this is an independent house, you may ignore GST. You may also consult a CA. Is there any formula to calculate penalty on delayed application for “Completion Certificate” of a residential building? The penalty charges can vary from State to State (civic bodies). You may kindly contact the concerned civic body .. In case of a plot in a gated community along with Villas, what would be applicable? My query particularly is for the plot which I bought from the builder what document(OC /CC) should the builder mandatorily have provided me at the time of sending me the letter of posession? Should I go ahead and do the registration of the plot or insist for OC/CC as applicable? Plot is in gurgaon in a private builder township. I believe that OC/CC may not be mandatory in this case..
Can a builder apply for CC with just expired Building Plan ??? I dont think so! You may kindly check at the concerned civic body office..
What is the reason for non-cooperation if you are a member of the society?? Given a choice, I would not buy a Flat without OC/CC. Hi Sreekanth, We have built a new house in our 40*60 size site in Bangalore. Would like to know what all documents we need to receive from our Architect? Total constructed 4 floors and 1 small room in terrace. Built 2 duplex houses 1 above the other so in total 4 floors. Flat construction complited b4 3 years. I m purchasing from2nd reseller.still complition certificate not issued by Corporation. Builder applied . All flats are sold in this highrise building without CC. What to do for CC? Can i purchase this flat. Pl guide. Personally, I will not buy a Flat without a valid CC. Flat is in resale. Seller earlier purchased from builder or may be he is 2nd buyer. In this case who issue the OC or PC to me? Suppose he has not OC. Than collected from whom? OC is issued by your local civic body like Panchayat/Muncipality/Corporation. I have purchased a flat in the project has 12 flats. have asked builder to provide BCC and OC. but builders says that BCC and OC is not mandatory for small projects. Please advice on this. Wish to inquire that in case a project is handed over in phases, Partial OC’s will be issued to buyers, right? Can one claim pre EMI deduction under income tax on basis of Partial OC or is Final OC a pre-requisite? I believe that you can claim tax deductions based on Partial OC. Thanks for the guidance, this is really helpful while buying flat. I am planning to purchase a FLAT in Varthur, Bangalore. Builder has given the OC acknowledgement. Is there anyway that we can track the OC status? After purchasing if OC is not obtained or rejected due to any reason, can I file a legal petition against the builder? If yes, please share the consequences that I need to face. Please share your opinion and thoughts on this. I am not sure if there is any facility/provision to track the OC status. Is the ack given by the Builder on their letter head or is it by a civil authority? (BBMP)?? I m planning to buy a flat in Mumbai Mira road .but the construction is just started.and I m planning to book a flat in it.its a huge township.i don’t know whether the builder has oc or cc…what should I do. Dear Rohan ..That is the risk you take by buying an under-construction property. Can I take society in this situation ? I think he can get CC from panchayat office, but OC may not be mandatory. Suggest you to talk to other Flat owners and take collective decision. I’m planning to buy a flat at dhanori, Pune. It’s ready to move property but builder still do not have completion certificate. On asking for completion certificate he says he can provide the completion certificate from his architect, as his architect is going to apply in municipal corporation for completion certificate. So how much can we rely on cc provided by architect ?? Another thing is in current scenario completion certificate from government body is not obtained still he is removing the taxation part from the deal, i.e’ service tax and vat on the basis of cc from architect. same he is mentioning in the agreement paper as a clause saying builder has obtained cc from architect. Is this valid ?? We have booked and deal was finalized on 28/04/2017 and the date which he is going to reflect on cc is 29/04/2017, so are we suppose to pay the service tax and vat amount or our agreement value shall be adjusted to the total amount of deal fix in such a way that even we do not pay service tax and vat we shall have net amount equal to the deal.?? Kindly note that VAT is not applicable on completed projects. You may request for CC/OC issued by the civic body and then may go ahead with the deal. Kindly check with other prospective Flat buyers as well, if possible. I have booked a flat in Bangalore near hebbal flyover. Now builder is saying that your flat is ready for registration. Though my flat is ready but amenities like swimming pool, lift, fire safety, water connection etc are not in place. Can i deny registration of my flat without occupancy certificate? legally? because i know that once i will register the flat and pay the balance money, he may not obliged to complete other works and expedite the process of obtaining occupancy certificate. I am not willing to register my flat before getting OC……. can i deny the registration of my flat without OC and insist developer to provide OC first, then registration. Kindly advise. Dear Sunil.. This is tricky scenario. Always, advisable to avoid tussle with builders and get things done amicably. Kindly first try checking with other neighbor flat owners. Note that OC is not required for registration of the property..so your builder can ask for registration of property and he can promise to complete the other pending works (amenities) very soon. I have purchased a 1bhk flat in pune. possession is delayed by one year. now flat is ready but the covered parking allotted to me as per agreement is not ready and it will take around 2 years for completion as the parking allotted to me is at the basement of another building which will take 2 yrs for completion. builder ask me take possession but for these 2 years i will not have any specific parking lot. i have to park my car anywhere is society at empty space. in this case will it be OK if I take possession or will it be OK if i wait for 2 yrs and claim charges to builder for delayed possession. Dear sachin ..Is he ready to give Occupation certificate now? How about other neighbor float owners? I booked the flat in 2010 in NOIDA (UP) and as per agreement the possession shedule was in Oct. 2013. My noida builder has sent a Offer of Possession in june 2016 with final demand. I paid the entire 100% payment in nov. 2016. Yesterday telephonic call received from builder office for taking possession of flat. I visited the site and came to know that CC/OC is not with the builder even till date. This has also been confirmed from Noida Authority. About 300 families are already residing in under construction property. Kindly advise whether I should take letter of Possession without CC/OC or insist for CC/OC first. Other families are residing without CC/OC. My builder is also denying for payment of late possession penalty. Kindly advise what should I do in these circumstances as you have earlier advised to avoid tussle with builder and get all these things settled amicably. I shall be highly obliged it your comments are received through mail. A sentence ” The delayed possession penalty is not payable to defaulters members” is used in the agreement. I have paid three payment late by 15-20 days for which I requested the builder to please charge 18% interest as applicable for delayed payment but he has never sent a interest demand invariably with the routine demand. Kindly help and advice at the earliest. I always suggest my clients not to go with a property where there are some issues with CC/OC. I am surprised that 300 families have already taken the possession. The thing here is even you can take the possession but in future if there are any penalties or issues then you along with other Flat owners have to bear them and not the builder. I cant comment on ‘delayed possession penalty’ without going through the documents. You may consult a Civil lawyer regarding this and take advice. I think Builders are in a hurry to give possession to home buyers to avoid RERA penalty for late delivery of apartments. Therefore it is assumed that Buyers moving in “before completion” will not get compensation for late delivery. Former CEO of the Noida Authority released a Public Notice in the leading daily News Paper ” HINDUSTAN TIMES” dated 28.09.2016 published on 29.09.2016, he warned the Builders and Home Buyers against shifting to their flats for which an Occupancy Certificate is yet to be issued. Yesterday a telephonic call received from Builder”s office for taking the possession. I refused to take the possession without CC/OC. Therefore even after making of 100% payment of my unit, I have finally decided not to take physical possession of my unit unless and until CC/OC is not provided by the Noida Authority only just to avail the benefit/security of RERA. Am I right? Further it is learnt that UP Govt. is also implementing the RERA norms as directed by the Central Govt. Perhaps, Hon’ble Chief Minister of UP has announced that no dilution in the RERA rules will be allowed. You may stick to your decision and do take advice from a local civil lawyer too. Kindly read : RERA rules & my review..
How much time will required to get an OC after getting possession. Builder started giving possession from April 2017 and i have booked flat in that building now i need to make an agreement so if will get OC then i don’t need to pay vat and service tax,when i have go for inquiry then they said that we cant assure about the time period for getting OC. So please suggest what action need to required for the same. Yes, VAT and Service Tax are not applicable for “Constructed Property”. There is no time-limit as such, if everything is in place, you should be able to get OC in few days. You may try checking this with other Flat owners. Thanks for info Sreekanth ,But what you suggest shall it be better to do agreement before getting OC or after getting OC,because sales people are saying we cant wait for OC. Due to which i am confused. Dear Nishant ..If the construction is already done and it is ready to occupy then its better you ask for OC and then sign the deal.. I have found your post very useful. I am planning to buy a 3 BHK flay in Western Suburb. The complex is of 3 towers, out of which 2 towers are 75% complete and the third tower is under construction. The builder says he will give possession in 6 months. At present I am getting a very good rate, and they are saying after OC price will increase. Please advise should I buy now or after getting OC. What if I dont get possession in 6 months ? How much does the price increase after getting OC? I sincerely await your advice. Under-construction projects have their own risks associated with them, major risk is – delay of projects. It is advisable to buy a property from a completed project, if affordable and meets your requirements than from an underconstruction one. Read : Under construction property & tax implications. Need your valuable advice on below mentioned issue. The Project is of 4 buildings. Out of which 2 are complete and construction for 3rd is just started. Builder is saying that the whole project will be completed till 2018. I got the possession of flat in 2016. It’s been 1 year now. I asked for OC, CC, NoC & Possession letter but builder denied. He said that as the project is not complete yet, so he can’t provide the documents. No one from our society received the documents yet. I am planning to resale the flat, so can I sale it? What all document should I have to resale the flat, please advise. I am planning to buy apartment flat near by Electronic city (bangalore) which is constructed by Ajantha Royal builder and it is G +4 type where they don’t have OC. And it is approved by BBMP and they says land and flats are ‘A Khata’. Is it advisable to buy this flat since we are interested.. if akrama-sakrama law to be enforced what will be the approx fine by govt ? Please advise. We have second option as Grama panchayat category flat also which we are interested on. It is on 2nd floor and he built 5 floors where he have approval only to built till 4th floor..
what is the best option.. If there is no OC, risk is on you/flat owners. You may have to bear the penalty in future and get OC. Gram panchayat flat can be considered if all documents are in place, but do not buy a flat which is in 5th floor. I am planing to buy a same kind of Gram panchayat approval flat(1st Floor) appartment (Pragna Uptown) in electronic city . Builder said its Panchayat approved. set back is 5 feet. its G+4 and pent house. What kind of details/documents need to confirm with builder if it is panchayat approved ? Looking forward to hear from your. This will help me to understand more in detailed. You may ask for a copy of Building plan approval that he might have got from Panchayat office. In case, the land is a Converted one (Agri to Residential), you may ask for a copy of DC Conversion document. And i also would like to know like. is there any problems in future that may face about this panchayat approved property ? Is there anything that we need to pay again in the future ? I asked the builder, he said that there is no CC, OC for this property. Dear Krishna .. If there are any structural deviations (more than legally ok), you may have to pay for it. I think you can ask for CC which is given by Panchayat office. OC may not be mandatory for Panchayat limits properties. I am living in a property of area 300 sq yards. This land was given to us via a gift deed from my father to my brother, sister and myself. We constructed a house (stilt for parking + 3 floors) and have taken occupation in 2009. We are paying property taxes which were assessed individually for all three of us since possession. My question is, do I need an occupancy certificate for this property if I am applying for a water connection. Thanks in advance for your help in this. Dear pavan ..OC may not be required. dear sreekanth, i have booked a flat in pune lohegaon the area comes under gram panchayat but approval authority is PMRDA, my query is that builer is giving OC to those who have already taken posseeeion, along with possession letter issued by builder. My query is that OC issued is for the whole society with mention of my flat no also as can be occupied but does the OC is issued in the name of each and every individual flat owners. also what should be the contents of possession letter which builder gives at the time of possession. Yes, OC has to issued for each individual Flat owner. I reside at Dombivali (Thane, Maharashtra). Recently our property is covered under KDMC (municipal corporation) (earlier was under gram panchayat) and we don’t have OC for our Building. Now can we apply for OC and what is procedure? What documents are required? If you have already taken the possession of Flat when it was under Panchayat limits then I dont think OC is mandatory. But you may visit your Municipal corporation and check if OC can be issued to your building and is it mandatory.. I am staying Navi Mumbai(Maharashtra) and hunting for property. I have almost finalize one property of 1.5 BHK which is complete and OC is in progress. I have not yet given token amount as I found rates of property compare to locality is bit high. Builder claiming that I need not to pay VAT and service tax if I book a flat after receiving OC. Is it true ? Dear Vijaykumar..Yes, VAT and Service Tax are not applicable for “Constructed Property”. Hi Sreekanth, I just came across your blog and read this article. It is very informative. I have a question. I am planning to buy an under construction flat in Bandra, Mumbai. Builder has got CC (commencement) until 12 floor, but he plans to build 16 more floors. He says possession will be given by Dec 2017. He i yet to receive CC for 13 to 16 floors.But it kind of does not add up. he says he will get “part OC” meaning upto 12 floors. Is that legal? is that even possible to get part OC? Please guide. Thank you. Kindly first take legal opinion from a civil lawyer and then can take up this issue at consumer court. Do you have any contacts with other Plot owners of same layout/project? I took possession of the flat in Jan 2016 , with the complete set of documents . Now the builder is claiming that i have installment pending to be paid as per the Agreement amount . Due to some issue from their side , the demand was never made and hence was never recovered from me . Wanted to check , if i am liable to pay the builder now , since i have all the relevant documents with me . I have closed the home loan also . The society is not yet formed , as the builder has not completed the entire project . If it is a genuine demand (due), as part of your agreement, it is advisable to clear it off (why to invite unwarranted trouble from builder). What about other flat owners? I am planning to buy a property built over 60X40 site where it has Grnd(Parking)+ 4 floors and each floor having 2 flats. After reading your article, I asked for CC and OC for the same to builder for which builder said for such small property no CC or OC will be issued, bigger projects having more than 30-40 flats need such certificates and shouldn’t matter buying such property. Is it so…? please help me to understand whether I should proceed or not …? Also, can you please point me to trustable advocates here in Bangalore South who can help me verifying these documents. For independent houses, OC or CC may not be required. But if one is construction multiple Flats, with seperate Khata Certificates, I believe that OC/CC are essential. I have relocated from Blr to AP last year, so do not have any contacts wrt legal consultants. I HV purchased an apartment and the builder is failed to gv the oc certificate, and I applied for oc certificate. bbmp as not approved what should I do now…please gv advise…. Dear Rudra ..What about other Flat owners? I have Purchased a Flat in the year 2010 & Since 2011 Residing their.In the year 2016 Municipal Corporation approached for Property Tax since last 03 years,When I said him that Occupance Certificate & Completion certificate not given by the builder till now & I have already filed a case on builder for it.But they forced me for Property Tax.At that time property not transfered in my name in municipal record but they take one application for transfer property in my name & take tax of previous years from me. Is It legal? They are also not confirming me about completion certificate. A lot of works are pending,Seepage in entire sewerage lines & Water is leaking from Pipes.Cracks are showing in walls & paint is pending.I also give a letter to Municipal Corpotaion regarding completion certificate but the not issued till date.Please advise what I have to do? Did you get any receipt for paying property tax? Has the Residents welfare society been formed? Kindly consult a lawyer as a group and get advice. This is really helpful article to know the meaning and difference of different terms related to home buying and occupancy. In continuation to this would like to know if the earlier sanctioned approved plans for buildings and the master plans are revised will the part completion certificate issued by Collector will it be valid or need to re apply for approval? Also now that area if it comes under pmrda who will look into the matter where earlier plans are revised but not taken approval again. If there are deviations in terms of over head Water tank not constructed on terrace area and common amenities space development has deviations who will re examine the site? Will it be collector or pmrda official? Collector approval without having those deviations considered is it illegal to occupy such buildings? Suggest you to consult a local govt approved Architect or civil engineer to know more on the above queries. Our building dont have OC. The information provided is very much informative and helpful for new buyers. i am going to buy a flat in under construction 7 storied building which is Gram panchayat /zilla parisad . Kindly take advice from local civil lawyer. I have purchased flat in 2009 in a complex which was under-construction. The same has been completed in 2013 and all flat owners has taken the possession of the property. We are getting the property tax bill and water bill regularly but the developer has not given us the OC. Kindly guide us regarding the options available if any to get the Occupancy certificate. You may approach the concerned local civic body office as a Group, and apply for OC. I have query regarding Service Tax paid to builder while buying Flat in Pune. I booked flat on 29-SEP-2015 in Pune and done registration on 26-Nov-2015. before Flat’s registration builder got Occupancy Certificate[Bhogwata Pramanpatra] from Pune Municipal Corporation on 10-Nov-2015. Occupancy Certificate[Bhogwata Pramanpatra] Received Date – 10-Nov-2015. Final loan disbursement – 6 – Jan-2016. Only on the Booking Amount as Occupancy Certificate is received before Registration and other payments are done after receving Occupancy Certificate. On the Flat’s Aggrement Cost as booking is done on before getting Occupancy Certificate? Kindly go through this article…click here.. Thanks for the useful information. I have a query here, I took loan for a property(Independent house) under construction, I am paying pre EMI for the same from the past 1 year. For the tax exemptions on Interest, I have to submit a Property handover certificate in my office. However when I ask my builder he is saying that the construction will be completed by March 2017 which is just before the closing of FY 2016-17. He also saying that in case if the construction is not completed he will give the certificate which I can submit in my office. Is it possible to give any Property handover certificate just like that? How much valid is this? I could not claim the registration amount of the land in FY 2015-16, is there any way after completion of the house I can claim in the corresponding fiscal year. Any help is highly appreciated, and thanks in advance. I believe that OC/PC is not mandatory for an independent house. Is this property located in a row house or villa project? But, yes without taking possession of the property, one can not claim tax exemptions on home loan. Read : Under-construction property & Tax implications. It is a villa project. I purchased a flat from Shristi infrastructure developement corporation at Haldia West bengal recently through home loan by 25 Lacs. Builder charging Service tax even though I occupied the flat and building is complete in all respect since long time ago. On asking OC/CC builder telling that project is not completed and some more buildings to be constructed in the same project . Builder has not given me any occupancy certificate but allotment letter I already received where builder claiming service tax. Please confirm if Service tax is payable or not? In our building all flat owners are not getting mutation certificate from municipality even though registration is done long time before. Please guide me whether this flat I can buy or is there any process for cancellation the allotment? Something fishy here! Advisable to take legal opinion from civil lawyer. I am planning to purchase a flat from an apartment at Hulimangala Panchayat, Jigani hobli, Bangalore. The plan has been approved by BDA. The constructions have been completed in December 2014, however, the builder is yet to obtain OC. I understood from some of the flat owners that the builder has made some deviations due to which the delay is happening & negotiations are under progress between the builder & the flat owners to bear the cost of obtaining OC. Is it worthy considering the flat? If the deviations are too much, you may avoid buying the flat. Kindly take opinion from local civil lawyer and/or civil engineer. I have purchased a flat from VBHC developers. They are saying that expected date to get OC is Feb 2017. I was thinking to start the interior work 1/2 months in advance. So that i can save time post OC is obtained. But the builder is saying that i cannot start interior work unless OC is obtained. Is there any law which says i cannot do that. I know i cannot occupy the flat. But doing interior work should be ok right ? I believe that should be ok. I am not aware of any such legal restrictions. I have purchased on flat in Orissa, bhubaneswar. During project inception days areas was coming under Business Dev Offier & later towards completion (Recently) area came under Bhubaneswar dev Authority. During handover & society formation I rqstd builder to rpovide OC,CC & NoC but he denied as not having all those as project was earlier coming under BDO. He only has given me the possession letter from his company (Not from any authority) & sale dead also completed with my name. Even he has created an owners Association via a notary instead proper channels like Society Registrar etc. Please suggest whether it is a heavy irregularities or not and if yes to whom I should approach for justice, It’s consumer court or petition writ or something else. Note- There is also a heavy deviation on delivered amenities as he promised during flat registration and at the time of delivery. All your points do reveal that lot of irregularities have happened with the project construction & compliance. Kindly join with other flat owners and fight for your rights. Take legal opinion too! -Agreement Signed in 2009 wherein there is a open clause of Taxes also, we have to pay incase. -Possession offered to first owner in Jun’2014. -I have purchased in re-sale in Feb’2015 and started living. Now around 200-300 families living. -Sale Deed/Registration of Flat is still to be done of all society. Sir, My query is, should we have to pay VAT in this case of “ready to occupy flats / OC Received Flats”? -If your advise is “Yes” then we shall pay VAT. -If your advise is “No” whom we should inform/contact- Govt. Body (Either Excise Dept/Sales Tax Dept / Lawyer /Town Planning etc.) immediately to waive off this VAT, because Sale deed cannot be done due to this VAT dues are pending. Is it the Registration of Flat or Registration of Welfare society, which is not yet done? Kindly note that builders can not charge VAT on sale of Flat on a completed project. You can contact local Commercial tax dept and/or civic body. Reply:- Registeration of Flat and Registration of Welfare society still not done/formed. First OWNER signed the BBA (Builder Buyer Agreement) in 2009, Possession offered in Jun’2014 to First Owner. What to do sir, should i contact commercial tax department in Haryana at which level. Sir, What is Civic body means? Civic body can be your local town planning authority / Municipality / Corporation.. But sir, please guide me sreekanth ji, am i right to go against the builder and inform the town planning etc.will they listen me. Dear Kunal ..Is this case with other Flat owners too? If so, you may form as a group and raise your concern together. Yes sir. But people do not have time and they are thinking that they will pay. But i do not want to pay. Anyways thanks for your respond. Thanks for the help free of cost.Awesome. We have given our land for promoting and we are getting flats for our residence. Now we are owner of 11 flats out of 36 flats of our project. Flats are now ready for handover and we asked for CC before taking possession from developer. But he is not agree to provide the same and in return giving us assurance that it is not important for Panchayet area and CC will not be issued by Zilla Parishad. We are staying at Panchayet areaand our plan was sanctioned by Zilla Parishad. Please suggest the authenticity of above said statements given by promoter. As far as I know the OC is not compulsory for the properties which are under the panchayat limits. Kindly verify if the building sanction plan is approved by the Panchayat office. I believe that they can issue a CC. I am buying a property in an under construction project. The sales staff says the OC will be issued by June 17 but the agreement mentions the possession date as on or before Dec 2018. The builder has a total of 3 buildings in this complex. The construction of third building has lagged considerably due to statutory clearances. Can he obtain 3 OC’s for each of the buildings or is it issued for the project viz complex as a whole. OC is for individual flat/property. The builder also has to get Construction completion certificate for the entire project. Is there any demarcation of powers for giving the OC. Based on the cost of construction or based on the built up area. Dear Ramesh..May I know what do you mean by Demarcation of Powers..?? I have one query. I have signed the Builder Buyer Agreement on 29th Jun 2016. On the same day builder got the OC. Am i liable to pay VAT in this case? Builder is saying that since booking check given date is 23rd June so i am liable to pay but my agreement date is 29th June. Please suggest. I believe that if has got Completion Certificate (CC) for the project, he/she cannot charge Value Added Tax (VAT) on transaction for sale of flat effected after securing CC. Hi….Want to acquire a row house in Mumbai which is 40 years old & has no OC but has approved plan, IOD, CC & BCC……Will building a 2nd floor (as the row house has extra FSI)) or carrying out modifications be a problem ???? Kindly check with a local govt approved Architect and/or Lawyer. Dear Ravi..May I know why do you want to buy a property which it does not have OC? Is it under Panchayat limits? Kindly take legal opinion from a local lawyer before taking final decision. Hi..You may ignore such deals. Kindly take legal opinion from a local lawyer before taking final decision. We are planning to buy a independent duplex house(600 sq ft).BDA approved.A khata.We planned to take sbi loan for this. This doesn’t have a OC and the builder/owner is insisting on not taking a sbi loan as there are more chances of rejection as the house has some percentage of deviations from actual plan. Kindly suggest on what we need to be careful when buying this house. If it is an independent house, OC is not required. I do own a 600 sq ft duplex house in Blr and have structural deviations when compared to approved building plan. Kindly note that loan eligibility is also dependent on certain other factors as well ex- your income. I have purchase a flat in Vasai Maharashtra ,Building is completed but builder doesn’t have O.C. and many people have taken possession also,builder is sending me letter that building is completed and ready for possession and if you don’t take possession you have to pay the penalty charges . Kindly advice . As mentioned in the article, OC is an important document. Kindly be aware of the consequences of not having OC. Sir, Just wanted to know that can builder ask for penalty charges if I refuse to take possession without O.C. Dear Akhilesh ..It depends on the Terms & Conditions mentioned in your Sale of Agreement document. I am planning to buy a flat in 40 year old building in Mumbai. None of the society member has OC copy. Could you please advise is it mandatory to obtain OC for such an old building ? since when OC was made mandatory in Mumbai properties. Should I go ahead with the deal ? Dear Devendra .. I am not sure about the date. Kindly consult a lawyer and take legal opinion on the said property deal. I have finalised a resale flat in Dombivali (Mumbai) area, property is constructed in 2011, but the current owner doesn’t have OC. Infact other flat owner don’t have the same. But he is saying that we have registered society & we make regular society audit, we have society account in bank etc; also saying that Some banks like IDBI, Bank of Mahrashtra, State bank of Patiyala has already sanctioned loan. One more thing is that the property is located in Gram Panchayat Area, so current flat owner saying that gram panchayat is not providing OC. But that village is now included in KDMC & Flat owner is paying tax to KDMC. Electricity, water supply etc are all as per govt authorities. So I request you to please suggest, what should I do..?? Dear Vaibhav ..Considering the given info, deal looks ok to me. But, kindly consult a local civil lawyer and get legal opinion too. I have flat in Pune , I’m staying there 4 floor 8 flats. (no society) building. got possession on 2013 but still not received completion certificate. 1) Lift is pending , if we ask builder for Lift he is denying. 2) property tax also not paid, I asked for local officer they saying still building is not registered. If i ask them they saying builder should need to submit file to department. how we proceed for this, let me know whom i have to contact? Your builder has to complete the construction and has to get CC for you. If he is not accepting your requests, you may have to file legal case against him. Kindly consult a lawyer. My name is Hemant Vashta. I live in Thakurli, which is in Kalyan Taluka, Thane district. I have received the flat through inheritance. How can i obtain the OC from KDMC ? My society is registered. Also we have completion certificate from KDMC. We have deemed conveyance at DDR level. It is pending at collector level.Can I directly demand OC from KDMC? If yes what papers should I submit and if no then from where should I obtain OC? Our builder’s whereabouts are not known. Have you done the mutation of property on to your name? Do inquire with other Flat owners if they have got OCs? Thanks for the quick reply, Sir. No, I have not done the mutation of property. Other flat owners too had not got the OC. In fact they don’t about it how to get it, therefore I am asking you on behalf of them. I have not done the mutation because I am waiting for the GR for the law which says that only Rs 500/- affidavit from competent court is enough to transfer the property name from the deceased to nominee. If I does the mutation process now, I will have to produce heir ship certificate, which costs around Rs. 1 lakh (Rs. 75000 stamp duty + Rs. 10,000/15,000 advocate fee.). I also wants to now is there different OC for each flat or single OC certificate for entire building? Yes, each Flat can have separate OC. May I know what is GR? Excellent post, very informative. Thanks for your sterling efforts! I had a query: I am selling a BDA flat located in Bangalore. The sellers lawyer has requested the municipal sanction plan and the building plan. Where (and how!) would I go about obtaining these, would you know? You din’t get from your earlier owner or your builder? You may visit nearest BBMP help-center and can get more details on this! Yes, *buyer’s* lawyer, not sellers, indeed. Sorry, my bad. Dear Kumar ..If the builder is BDA then you may get the plan copy from the BDA office. I had booked a flat as an under construction project in 2009. The building was to be completed by 2012-2013. The final brick work was completed in Oct 2012. Since then majority of the painting has been done but no OC. Each time we call about it he says that he has applied for the same. However, since past one year 12 residents have made final payment and taken possession of their flats. Many have come to stay and many have rented out their premises. The builder is avoiding our phone calls and is not even meeting with us. But those residents who are illegally staying there, can they take a legal course of action against the builder. Those who have not taken possession are fewer in number. Most of the work of the building is complete. It is just the matter of the builder to apply for OC. He is not doing this. Please suggest what would be the next course of action. We have given a letter in writing to the builder. Dear Ramakrishnan ..This is where we really need to feel sad. Some builders like these take the home buyers for granted. Either you can take legal action or you yourself can apply for OC along with other flat owners by visiting your nearest Local body office. Why it is not necessary to get OC for row house? Dear kartik ..I meant it as ‘not mandatory’ but it can be issued in case of large villa or row house projects. thanks and one more is their a difference between possession and occupational certificate ? and yes plz tell what is the difference? Dear kartik ..I believe that both are one and same. I am planning to purchase a property in Kandivali West but the building does not have an OC. They have complete CC & the seller of the flat has taken loan also from ICICI Bank of this flat. My loan also has been sanctioned on this property. Society has filled the application for OC but still not got. Should I go ahead & buy this property ? As mentioned in the article, OC is an important document. If you are confident that the builder will get the OC for all the Flat owners then go ahead. However, do remember that if the builder can’t get it, you have to invest both time & money (may have to bear penalties as well if there are any structural deviations) to get the OC. Kindly take legal opinion too before taking the final decision. All the best! I am planning to purchase a flat in bangalore which is almost completed (not amenities) . Anyway builder will say that he will get OC after completing all pending work which I won’t believe. Can I approach someone to verify things required to get OC are in place and to find out any problems in getting OC later? If so, whom to contact? 2)How to make sure money collected for BWSSB and BESCOM are given to authorities? 3) I will take lawyer opinion. Is there anything I need to check. ? 2 – You will get the connections right.. I took possession from builder without CC, OC. and not we live 200 families. Until now builder was maintaining flat from society maintenance funds collected at the time of selling flat. Now, he is denied to pay any maintenance bill from maintenance funds/ from his pocket. and not giving proper deadline dates for CC/OC. And pressurised us to take handover of the funds and maintain property by our own. We are located at Vadodara, Gujarat. Dear Nilesh ..Kindly visit your local civic body office and try to find out if you (flat owners) could get CC by yourselves. Dear Maruti..How can the builder use the Parking space for residential purposes. All the flat owners should take legal action against the builder unitedly. I am planning to buy a resale flat but the owner does not Completion letter. He says event builder has not yet provided CC. I asked him about Tax receipts to which he said that since builder has not yet received the completion certificate so there is no Tax receipts (not of builder nor of owner) . Should I go ahead to purchase the property, I have only Paid 5000 to flat owner nothing else. Also my Flat owner does not have 8 A Document on his name. Dear Sachin ..If given a choice, I would not buy the mentioned property. I buy a flat in Kalyan, thane deistic, Builder has gives us Possession certificate as per bank housing loan demand, we reside in our flat, we ask builder to provide the CC but always he is saying 15 day’s, till date he has not given the CC papers, now Local Municipal people came for a survey and they are saying we will issue the demand letter to Individual flat for property tax with penalty, is this right because from builder side he has issue the possession certificate, every day we flat owners approaching to builder but he is not replying properly, Please suggest. Dear Deepak ..This is the case with many property buyers. Unfortunately, the flat buyers have to bear the charges/penalty for the misdeeds of the builders. Suggest you to form as a group and consult a civil lawyer. You may check if it is possible to issue a notice to the builder for not issuing CC. I have obtained housing loan for constructing Ground plus first floor from a bank and the loan amount is disbursed in stages according to the construction progress of the building. If I stop with Ground floor only, will the bank provide me completion certification? Dear Sachin ..CC is given by the local civic body. And if it is your independent house then it is not required, I believe. Dear Raghukumar ..This is location and property specific query, kindly consult a local civil lawyer/ visit your civic body office and get more info. Thanks for the details in your blog! I have concern related to flat, the property became disputed now as land owner filed a case against builder stating that land owner didnt sell the land to builder, but builder is saying that he has got the registry and all. Possession is due on flat in a month from now. But due to court case, I dont think builder will be able to furnish the OC and CC. Builder is saying he has got the CC, but he is silent about OC. I am yet to verify all these documents from him, meanwhile what should be the next step for me to do here. That’s strange & surprising! Something fishy here. So, all these days why was the land-owner silent, when the construction has been going on?? Suggest you to form as a group with other co-buyers and demand for OC & CC. sorry for the missing information from my end in above query. We booked the flat in 2013 and got the registry done in early 2014 and by the end of 2014 the case was filed by landowner, we got to know about case early this year. Initially the plan was approved till 11 floors and during the court case he increased the two floors more so building is now 13 floors high. He is saying court didnt ask him to stop the construction so he is doing. We have formed a group with other co-buyers who have flats in that building. We all talked in person with the builder about the case but builder is not ready to give anything in written about the consequences of case. Now when I read closely the registry document then document mentions that if builder doesnt give OC then we can file a case against him and he has to give full refund with the interest rate of 9% per annum. Being novice here in this area – could you please help me if I should take the possession and get something in written from him that he needs to provide OC and if he doesnt give by that time then I can go to consumer forum ? or I should hold my possession without OC. Definetly ask for OC (along with other Flat owners). Nice to know that the mentioned clause is there in the Sale deed. Sure, Thanks Sreekanth. Without OC, house tax is also not possible right ? And Since court case is going on, builder has to pay house tax ? Looks fine. I am not very sure about BRS (building regul. scheme) rules that are applicable in your case. Kindly take help of a local civil lawyer / real-estate agent. (or) You may contact civic body office. I visited one builder today in Gurgaon who is selling builder floors. He said that the registry is available, home loan can be availed and everything seemed to be in order, however he said that building plan / floor plan is not approved and we generally don’t take these approvals. He said this is not required in this area and they have sold lots of projects like this. Should I go ahead with the deal? May it be the case that building plan approval is not required? Dear Umesh..My take, it is wiser to avoid such deals. Your article is very insightful. Thank you for the same. I had a query regarding builder insisting to take final handover without occupation certificate. I have invested in a property in Doddanakundi Bengaluru 4 years back and builder is yet to obtain OC as of date for my block. Can a builder demand final payment and force me to take possession without obtaining OC? Also he is just not sending a demand note for same on his letter head. I have paid all demands raised by him and related form 16 for TDS. Now amount under the heading of handover is pending. Dear Ravindra..Kindly insist on getting OC. If possible, check out with other flat owners too and ask him as a group. But builder has just sent an email with final due minus registration with a deadline. Failing which he has threatened an interest. What are my options as a buyer? Dear Ravindra ..As suggested, kindly check out with other Flat buyers too and if you form as a group then I am sure your builder has to obey your request. Hi Sir, I have planned to buy a flot in one apartment ( Sai Branthavan ) Bangalore k.R.puram and it’s having 32 flots with 4 floor. they are not providing occupancy certificate and they are telling it’s a small project so we are not providing and some other folts are sold out with bank loans in SBI , LIC,Icici,etc. How bank lone is provided in this case with out OC. It’s A khata land with BBMP approved one. They have got a electricity, kavari,under sewage connections with out OC. please advice how can I proceed to buy this house. Banks can give loans under the premise that OC will be obtained. Suggest you not to buy such properties where OC is not available. Mostly they might have deviated a lot when compared to building sanction plan. Dear Sir: I purchased RESALE FLAT [five years old] with A-Khata Bifurcation order dt.27.1.2008, Khata Extract, Khata Certificate, and Tax Receipts of the preceding FIVE YEARS, duly verified by Advocate, who drafted my Sale Deed and got Registered on 5.4.2013. On application for Khata Transfer, B-Khata was issued, and Tax receipt as B-Khata against owner name without assigning any reason. Later on, I came to know that all the co-flat owners got B-Khata because NO CC/OC were obtained by Builder. What is the REMEDY. Please advise me to RESTORE A-KHATA. Already, one of the Owners, who is HIGH COURT ADVOCATE filed a case in the Karnataka High Court and the going is his favour, only judgement is yet to be delivered. We have formed Association, duly registered. Can Association take up the BUILDER for not obtaining CC/OC? Please advise us. Dear Prabhakar ..The association can take up..but whether the builder is going to pay the penalties (if any) from his pocket or not is the real question? As a group, you can approach local civic body and get CC and then try for A-Khata certificate(s). Also, take help of your lawyer friend and neighbor. I have just a query might be a silly query for others. I am Planning to buy a property in Bangalore (Whitefield area). It is going to be high rise building (total of 12 floors). The one which i am looking for is on 10th floor. They are about to give us after completion by March 2017. Do I, Need to ask them about the commencement certificate in order to know whether they have proper approval for 10th floor (as this is high rise building bit couscous ) and is it mandatory to have a copy of that letter. You may request them to provide copy of CC & building sanction plan. Hi, I have finalised a property in Miraraod – mumbai. Building is since 2005 and it is resale property. All documents are ready except OC. Agents tell that societyhas applied for OC and they will get in few days. Electricity, water supply etc are all as per govt authorities. I am confused that I must purchase the flat or wait till the society gets OC. I am really in nned to flat and can not wait till 6 months for OC. Icici, BOB, BOI, HDFC and many bank have already issued loan on the same property. So is it safe. Dear sap ..It is safe but only thing is you may have to pay penalty in future (if any) imposed by the local civic bodies for not having OC. The builder or ex-owners may not be liable for this. So, now it is your call. i m planning to buy a flat in veera desai road , the building was constructed in 2010 , they still doesnt have oc in their hand . what do u suggest should we go ahead with the this flat or start looking some where else ? the above said building has all the other documents – like cc / blue print certificate. kindly suggest . Dear vishal ..IF they have all the documents then why are they not applying or getting you the OC? Kindly take legal opinion from a local civil lawyer. Hi sreekanth, I am planning to buy a resale flat in pune, I got a copy of CC where in flat no 101, 201, 301 not mentioned however flat no 102 103 104, 202 203 204, 302 303 304 are mentioned. And on the bottom of the certificate it mentioned 3 shops+12 flats. I am planing to buy flat no 301. Please advise if it is ok to proceed? Dear Ramesh ..May be the said Flat is not as per the building sanction plan. Suggest you to avoid the deal or kindly take a legal opinion from a civil lawyer. I am negotiating with a seller for a re-sale property which has B-Khata. Could you please let me know how A-Khata or B-Khata document is related to OC/CC documents? Is it that the property should have A-Khata, and only then BDA/BBMP will give OC/CC documents? I dont think so. OC & CC documents can be issued to the promoter if all other documents are in place & building has been constructed as per the sanction plan. I have purchased full constructed duplex in Feb-2014, only garden area, parking area was not fenced, which I myself has completed after owning of house. Sell dead was referring word – Partial Constructed House, but the photo attached is supporting my previous statement. I have already started paying House tax, electricity bill since 2014. Till date, almost after more than 2 years, developer has not issued me a Completion Certificate – after many reminders. What is your recommendation for opting completion certificate from local authority? Is this a flat or a row house? What about the status of other properties? Has the welfare society been formed? I have an apartment in an under construction building in Mumbai. Can I change the position of the door slightly by 1 foot of the master bedroom to get little extra space,in that event my second room would loose its passage slightly? Can it create issues while getting the occupation certificate or can the society object to it? As per me it’s a minor change what is your opinion? Kindly first check with your builder and/or society if it is allowed. If it is a minor thing then it should be ok.
Dear deepkumar ..No it is not considered as equivalent to OC. even though we have o.c , the Telagana state imposing deviation penalty on property tax (Alwal muncipality) ,whom to we ask about this deviation penalty. come to the facts the builder officialy went 10% deviation for that they paid Rs.6,50,000/- penalty, though the property tax authorities imposing deviation penalty in the property taxeses, how far it is justice. Keep visiting dear Rekha ..! I recently purchased a flat from a builder in Kaggadasapura, Bangalore. We gave the contract of interior work to the builder itself and he increased the cost of interiors and asked us to pay an extra amount of Rs 50,000. We did not give him the full amount of 50,000 instead we gave only 80% of it as he still has to complete few interior works. We wanted to give the balance amount after all the pending work has been done. He is threatening us that he will hold the final letter which he has to give to us if we do not give the balance amount now. I am not sure what this final letter is about. Can someone please help us. We are already suffering due to the substandard work done by the builder both in the apartment construction and the interior works, which unfortunately we found out after moving in. Any help would be much appreciated. May be he is referring to OC/PC. I believe that the current owner can get the OC from the local civic body. Kindly check out this option. I have a independent house and 1 year old,Its constructed as per plan and approved license floors and only the setback one side not left and other 3 side left with limited space from compound. Do I have any issue ? and should I get it OC,CC for the same? Dear Nic ..OC/CC is not applicable for Ind house. I am planning to purchase a flat in Bangalore. The Builder says that he has Land and individual flat A katha. He adds that OC CC is not there as it is a small property under 10000 sqft. is it true? can I buy it ? Dear Sreedevi ..Buy at your own risk. Kindly take legal opinion from a lawyer and then take final decision. I have gone through legal verification, lawyer says everything is fine since it is A katha. Is it still a good decision to buy the house. Dear Sreedevi ..It can be an A khata property but what if there are too many structural deviations. If so, you (flat owners) may have to shell out penalty amount in future (if akrama sakrama comes up). I am going to buy a flat which was build and completed in 2008 and present owner is staying there. He has Khata (A) certificate and filling tax since then. But he might not know about OC or CC and he has not given to me. I talk to lawyer and asked about OC but he said this is ok – not important. There has water, electric connection and its in apartment with 150 flats are there. What do you think is it ok? Can you provide me link to check online about present owner of the flat, to cross check? I don’t think there is any such online provision to know the details of a Flat owner..
OC may not be a problem now, but it is YOU who have to pay any penalties in the future if any issue arises and not the builder/previous owner. I am planning to buy an apartment in Bangalore which is BBMP approved property. They already have CC available and OC will be available by end of August. In the total apartment cost breakup, they are charging 11.2 % for Service Tax and VAT which I felt is too high. In the other apartments nearby they are charging around 9%. On what basis do they calculate the service tax and VAT for the apartment? Also, as the CC is already available do we need to still pay the Service Tax and VAT? I read in some blogs that the Service tax and VAT are to be paid only for the under construction properties. I too believe that VAT and Service Tax are not applicable for Constructed Property. It is only applicable for under construction flat. Also, if an apartment building has less than 12 or 12 flats, no VAT. VAT is a state govt subject and ST is a central govt subject. So, VAT may vary from state to state. My name is Sreenath. I am planning to purchase an apartment near to kengeri.I approached a builder, he said for that building he could be able to provide OC but due to some reason he cannot provide the CC.If I purchase this wil there be any legal complications in future and will there be any problem at the time when I resell it to other. And they are waiting for Kaveri water connection as well.Will there be any problem in getting the connection. Requesting to share your mobile number for further queries. Dear Sreenath ..Kindly ask him what are those reasons?? Does the site comes under Panchayat limits or BBMP limits? As mentioned in the above article, there can be issues or you may have to pay penalty (for no fault of yours) and get things sorted out in the future. sir my dad with is brother that is m uncle constructed a house 20 years ago. uncle live there since 18 years yet not took complition of the floor he built. my dad is the owner of that house. my uncle added his black property to construct on our house and living since then.dad wants him to take his property, but due to black money he is not and this is bothering us bcause we dont want any legal enquiries on us unnecessarily. what should we do? Dear rutuja..I am unable to understand your query. Suggest you to consult a Civil lawyer. I purchased one flat from VBHC B’lore located in their Vaibhava project near Anekal. The purchase started from June 2014.I went for it because of two reasons. 1. Mr Jerry Rao is the founder and 2. My group company Aditya Birla Money recommended it. During booking I was told that by January 2016 the flat will be allotted. Then after some time it was postponed to March 2016. But now the management says they can not give any tentative date of handover of flat as the clearances like PCB,Fire protection, OC and e-khata is handled by Govt bodies and hence the management is helpless.They informed me last week that PCB and Fire protection has been obtained and they have applied for OC. After getting OC they will be applying for e-khata and then registration will take place and I shall get the flat. Dear Daniel..To get E-khata & OC , it may take 15 to 30 days (but may involve lot of Extra payments). What I was told by the builder i.e. VBHC is they do not pay any bribe to any body so their application moves slowly in Govt. depts. Please let me know how much time it will take in its natural way with out any bribe/extra payments. After e-khata what else remains to be cleared so that I get possession of my flat. My query is regarding the Occupancy Certificate for a Commercial building. My question is that Whether premises which are given in the Occupancy Certificate for a Restaurant, can also be used for office purposes? Dear Arjun..I couldn’t understand your query?? Kindly re-phrase it . My query is regarding whether the premises of a restaurant can be used for office purposes or not, if the O.C classifies the premises as a restaurant. Dear Arjun..I do not have clear answer to your query. You may kindly consult a Civil lawyer. The builder met with an road accident and have died,and in his firm he is the only sole owner, but he has kept his mother as nominee. Dear anand..To be frank, I do not have answer to your query. Only thing I can suggest you is to consult a Civil lawyer and get advice. In case if you get right advice from a lawyer, kindly share the information here so that it can be useful to other blog readers. Thank you! I stay in old Row House which has CC and OC. Now the row house has become old and requires repairs. In this connection I have approached Muncipal corporation to declare the row house as dangerous to leave. In this case can the muncipal authority cancel the O.C ? Dear Manish..I believe that OC is not required for row or independent houses. This article is very useful.thanks srikanth. We are looking for a flat to buy in hyderabad. And we found a flat but the builder taken permission for g +2 and build g+3.and our flat is in 3 Rd floor. Builder says that we are already applied for brs. It will come with in few days. 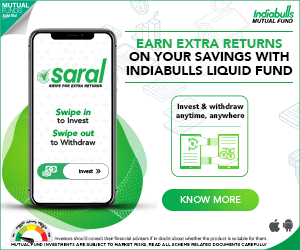 Please suggest us, is it good deal? And when we consult for bank loan government banks will not give. Only one private bank will give by offering bribe. We are confusing now? Please give us suggestion. Dear Aruna..Advisable to stay away from such deals. You can find a better one. I have bought flat in area which comes under grampanchayat in Riagad district near Thane, Maharashtra. My builder is now asking to take possession and saying he will provide OC after 5-6 months or we can apply for it once society is formed. Our builder has all other required legal documents. Can you please advice, if I can take possession should wait till we get OC? Also just wanted to confirm if OC is applicable in grampanchayat area or only applicable for areas under municipal authorities? Better to get OC and then take possession. OC is generally not applicable in case of panchayat limits. You may also re-check this with a local civil lawyer. Can a housing society be taken over by flat owners from a the promoter builder without having an OC.. the flat owners have not be made members in the already existing society (which builder is handling) but are only issued temporary residential letters since last 9 years. Dear Hardy..I am not sure about this one..Kindly consult a civil lawyer. I got the copy of CC that is given to builder by civic body. The builder issued me a Possession Certificate on his letter head; Is this enough? Do I need to get get any OC also from builder or civic body? Dear Dheeraj..Its better you get it from the civic body. Today we received a tax in name of each individual Flat owner from PMC (Pune Municipal Corporation). None of us have received completion certificate, occupancy certificate from builder, even after asking him time to time. Is it legal to get a tax in individual’s name? Should we pay the tax? Please suggest, what action should we take? Kindly pay the tax dues, it can become legal issue. Your builder has to provide you CC (atleast). Suggest you form as a group (flat owners or society) and approach PMC to get OCs. 1) We are buying a flat in Banglore. The owner is saying that they dont have an OC and CC. Is it safe to buy that flat but he’s saying that the apartment land belongs to A khatha. I’m in confusion state please guide me. 2) from which year onwards this OC and CC documents are started. I do not know the year but they are important. Builder has to provide atleast CC. Looks like they might have completed the construction with lot of structural deviations. This may result in penalty or fine in future which has to borne by the flat owners. Is it possible for a building to have OC but not BCC? I’m looking to buy a flat wherein the seller is saying the building does have OC, but BCC is pending. Unfortunately anything is possible in our country. But suggest you to buy a Flat where completion certificate is available. I have purchased a property from Mantri Developers and have done the registration in June 2015, they had promised possession by Jan 2015 and in March 2016 have given the flat for interiors, however in the meantime I have told my current house owner that I will vacate my house by April 16 end since the possession for interiors is given and hence they have found an alternate tenant who will want the house that I live in by May 1st 2016 and have issued a notice to vacte by April 30th 2016. Now Mantri Developers is claiming that I will not be able occupy the flat by April 2016 as they do not have the OC. Please suggest can I occupy the flat without OC as I have no option and take legal action against the builder who has been smart by mentioning that the possession is for only interiors and getting the OC will take time without being specific about the date. Very sad that these kind of tricks (if at all) are played by the reputed real estate companies too. Suggest you to first get it in writing from the builder about the possible date of issuing OC, accordingly you can plan to vacate your rented house. Are you in touch with any other Flat owners? Occupying a Flat without OC is actually an illegal thing. Hope you are doing well.I had booked a flat in Wagholi,Pune which comes under Gram Panchayat. It’s ready for possession property and CC of building has also arrived. Builder is not providing the Occupancy Certificate and says that same is not getting issued from local govt. bodies. He also says CC and Possession letter are sufficient and there is no need of OC as such. I had seen the news of OC issues existing in Mumbai and had also seen that without OC,there might be future issues in re-sale of property. Can you kindly guide me on next step to be taken in this regard. As far as I know the OC is not compulsory for the properties which are under the panchayat limits. Suggest you to check this with a local civil lawyer too. I am wanting to buy a flat in Alpine Viva Seegehalli whitefield. The builder has not yet given the OC/CC. Also the electricity connection from BESCOM is not in the name of individual flat owner. Instead the electricity meter is in the name of Alpine viva. 1. I understand that it is not advisable to buy the flat with out OC/CC. However given the cost and budget limitation, can the RWA apply for CC/OC in future? 2. The builder has consumed the entire IFMS (sinking fund). Can he do it? 3. Should i get the property paper verified from an independent lawyer even when i know that OC/CC is not there so it will not be verified? 1 – Yes, RWA can apply for OC but CC, I think its better if your builder get it for you. 2 – I am not sure. I want ask you some of my dout related to builder. I have given a token amount to builder for buy a new flat but some of my reason i can’t owed the flat and i asked builder to return my token amount from him,but he neglecting me and saying that i don’t have money to give you right now. so,please suggest what to do in this condition /situation. Dear shivshankar..Do you have any written proofs/doc to prove that you have given the advance amount to the builder? I am having a Question. I am planning to purchase a apartment in TC palya. Builder is having CC but he is not give OC, he is saying that he constructed Party hall & gym in last floor and balcony are extended little bit which are not as per approval plan. After registration gets completed he will proceed with convert all flats to A Khata. Is this possible to provide A Khata without OC. Dear pavan..Its tough to get A Khata. You may end-up paying hefty penalty under Akrama-sakrama scheme. Kindly note that OC is a very important document. I have a flat in apartment complex in Bellandur and earlier in 2005, all of the apartment owners received B Khata, at the time the reason was it came under Bellandur Panjayat. Around 2010, all of my neighboring flat owners converted to A khata, at that time i couldn’t and this got delayed until now. How can i get a A khata now. I have paid tax receipts until last year, My Apartment complex has Occupancy Certificate, All Land documents – Sale Deed, Conversion Order, Encumbrance certificate etc. Need your help to understand how i can get the A khata issued. You can visit your respective BBMP ward office (mostly it should come under BBMP- CMC Bommanahalli limits) and submit the required documents and get A-Khata certificate. Read : All about Khata Certificate.. I was told i would need to wait for Akram-Sakrma to get A Khata… Is this required, As i understand Akrama Sakrma is process to regularize. My Apartment complex is already a regularized one and all flat owner in my apartment complex have A Khata. Dear Joseph..If your flat is in the same apartment then why is that you alone not able to get A Khata? When did other owners apply for khata? Hi, I am planning to buy a apartment in bangalore without OC, builder has Possession Certificate .This is completed project in 2013. Builder told me that only 32 flats are there in apartment and area is less then 1 acre , they didn’t get the OC at that time. Land has BBMP approved A khata. But Flats Khata is B abstract and they are paying the tax till now. They have told me that in Akrama Sakrama this issue will get resolved. Could you please let me know, how safe it is buy this apartment? Around 70% of the project which I have seen in bangalore does not have OC. Apartment with OC are very expensive and not affordable for common man. Please advice. Thanks in advance. PC is also referred to as OC. So, may I know the issue here? Looks like they have deviated more than what is allowed as per the building sanction plan. As your builder says, the end user (flat owner) has to bear the penalty for the mistakes the builder has done. If land is A Khata, looks like there may not be any legal issues but you may end up paying the penalty. Do take legal opinion on this. Hi, i going to book. 1.5 BHk flat at panvel (wakdi village).new mumbai. I ask for builder .for all property related Documents .He gave me .Collector approved N. A Copy and gram panchayat bandkaam poorn dhakhal . i am confuesd . i think bandkaam poorn dhakila is ( completion certificate . is i am right ?. .what should i do . Dear ajay..I couldn’t understand your query..kindly rephrase it.. I Booked A flat at panvel. vakadi village. I ask builder About Property documents . he tell me the property is collector approved . and The O. C is from Gram Panchayat. I want to ask is Gram Panchayat has authorise. Dear Ajay..They can issue I believe.. as I am not aware of the location, suggest you to get legal opinion from a civil lawyer. Congratulations on an excellent site. I have booked a flat on 8th floor of a proposed 18 storey building. The Builder has received Commencement certificate upto 15th floor. He has now erected 16th floor slab and has raised demand note for the installment due. Is it necessary for the builder to have commencement certificate for the said floor before he raises a demand note? What should I tell the builder in case I am unable to get the load amount disbursed by the bank? Yes, he should have CC for it and what is mentioned in the building sanction plan? Does it say it as 18 storey one or 16 story one? Sometimes, bankers & builders may have some understanding between them, so try to play safe. Kindly first inform your banker about this and try to find out what is their view on this?? I booked a flat in whitefield bangalore. it is almost about to complete project. G+3. Land is clear. but after booking only i came to know the Builder does not have the commencement certificate. But in agreement he is promising for A-Khata and OC to get it done. How is that possible? He is saying the commencement certificate is mandatory only from 2015 and they started the building construction from 2014 itself so it is not an issue? Please suggest how to go with. Or should i cancel the booking paying off him 25% of money which i have given? Totally confused. The CC is mandatory document. If possible, check out with other owners as well. Did you get legal opinion before booking the flat? I have purchased a plot from a private developer. The registration of the property is also done. Should the developer provide me a Possession certificate for my plot? Dear Chetan..If its a plot/independent house, PC is not required. wanted to know that in case there are 2 joint owners of a land, then who gets the completion certificate?. Dear vaibhav..Anyone can get it for you. First of all, the post is very informative and very good. My mother had purchased an under construction flat in Navi Mumbai in 2011.The building was completed in 2014 but due to some reasons the builder was not providing CC and was delaying.98 % of total amount was already paid.Now in 2016 suddenly when we called the builder he said that he has recieved CC.He has sent us an Virtual Completion certificate which is issued by some architect and planner saying that the structural work of the building has been virtually completed and is in accordance with permission granted with structural design …..The builder is saying to pay balance remaining payment of 2 % .What is difference between Virtual Completion certificate and Completion certificate ?Also the certificate is from some private architect and not from municipality or civic body?What to do ? Is the original Building sanction plan approved by any civic body? If so, your builder can get CC from civic body. I am not sure about virtual CC. Suggest you to kindly visit your civic body office and get details about your Apartment CC status. SIR, I HAVE PURCHASED A FLAT IN SOLAPUR MAHARASHTRA IN 2013. TILL DATE NO SOCIETY HAS BEEN FORMED IN THE APARTMENT. ALL 16 FLATS HAVE BEEN OCCUPIED. TILL DATE NO CORPORATION TAX IN INDIVIDUAL NAME HAS BEEN COME. LAST YEAR CORPORATION TAX OF RS. 70000 IN THE NAME OF BUILDER HAS BEEN RECEIVED. NOW BUILDER IS COLLECTING FROM ALL OF US THIS AMOUNT. SOME OWNERS ARE PAYING, AND SOME OTHER NOT. HE HAS PAID ONLY RS 35000 OUT OF RS 70000 THIS YEAR. STILL SOME AMOUNT IS REMAINING. SIR PLEASE TELL ME WHETHER I CAN APPLY INDIVIDUAL CORPORATION TAX PAYMENT FROM COMING APRIL ONWARD OR NOT. WE ALSO DON’T KNOW WHETHER THE BUILDER HAS OBTAINED THE COMPLETION CERTIFICAT OR NOT, AND HE IS NOT HELPING IN ANY WAY. sale deed has also been done of mine in 2013. Suggest you to approach your local civic body (Solapur Municipal corporation) and check with them if you can apply for individual OC. Kindly find out if your builder has applied and received any CC from them. Accordingly, you may then convince the other flat owners to take the required action . I have booked an apartment two days back in Bangalore. The Area is coming under Anekal Planning Authority. I am verifying the legal documents shared by the builder. The Building is G+3 floor and ready for posession. The Plan is sanctioned by BMRDA. And E-khata is available for the land and individual flats. But when I asked about the Occupancy Certificate, Builder is telling that there is 15% deviation from the approved plan, so they cannot get OC. They are telling that this area is under panchayat so that OC is not mandatory and they have done 15 projects for none of them they provided OC. Also it is G+3 floors only. Only if 8 ,9 floors and above OC is mandatory. I checked with some other builders also in this area and found that many do not have OC. I also contacted Annekal Planning Authority (BMRDA) regarding this. So they are telling it is ok for buying this apartment as plan is approved. And they are telling BMRDA do not issue OC only CC they will issue. Regarding OC, Akrama Sakrama is under High Court, so after decision also may be you have to pay some penalty for regularization. Could you please advise me on this matter. Whether I should proceed buying this apartment. Yes, most of the apartments under Panchayat limits do not have OCs. But it is very clear that project has structural deviations compared to the sanction plan and hence they do not get OC. Also it is clear that end user (you) have to bear the regularization expenses (penalty) when akrama/sakrama scheme comes up. So, you may now take the call. Did you receive any suggestions from your legal expert? I am from Hyderabad, kondapur. I am about to buy a 2 bhk ready to occupy apartment. Few people already occupied it, and they got loans from HDFC & ICICI. They dint get OC certificate. I am about to buy 302, which is in mortgage they said. They said that in every apartment, there will be one flat , which will be in mortgage, which will be released once every flat is occupied, then GHMC people will come and check whether apartment is build properly, then they issue OC cert. – What things do I consider in this situation before buy? – What documents should I check (or shall I go through with an advocate ) ? – When should my registration be done, should I wait till they get OC ? – Is HDFC, ICICI are trusty banks, coz, I heard, they don’t look much about legal docs, compared with SBi, LIC ? – Is it possible to take Home Loan more than 80 % by showing more base price, which includes furniture work? 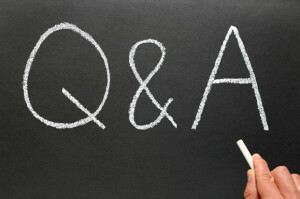 Please don’t get irritated with my questions, I know that you are they only guy who can answer in a simple manner. Please help. I have been following your blog and got very good knowledge in various financial terms, I would like to say thanks. I am a web developer, I can help you in moderating your portal if you want. 1 – The flat shortlisted by has home loan attached to it?? Who is the borrower? 2 – Always advisable to take legal expert opinion before make home purchase. 3 – If possible wait till you get OC and then register. 4 – It is possible provided you have such loan eligibility and also depends from bank to bank.But most of the banks have now become very conservative. Just two days back I have booked an apartment with one of the prestigious builder in Bangalore. They have provided me the full set of documents for legal verification. The apartment is ready for possession. It is Joint development agreement. But the builder is telling that there is 15% deviation from the plan, so they cannot provide OC (Occupancy Certificate). And builder says the building is G+3, and comes under Panchayat limit as of now, So OC is not mandatory document, and none of the apartments in this area has OC. They also telling that they have done 15 projects so far and for none of them they have given OC. Now I am in doubt, whether I should Proceed with Buying the apartment? Please Advise. I also Contacted BMRDA office, they are telling that they will issue only Completion Certificate, only that is mandatory. Also they say only if some one complaints OC will be of issue. And majority of the apartments do not have OC. Also he is telling, Akrama Sakrama now is pending in High Court, and even if rule comes may be the owner need to pay fine for regularization and then you can get OC. Dear Rkkumar..If he does not have the CC, better you avoid buying a property in that apartment. Please help me on my query, I have taken possession of flat 1 Year ago, Society is formed and OC is given. The OC that we have received issued by gram panchayat as the area does not come under municipal authorities. When we ask builder he says that the grampanchayat OC will do, We do not know how far that is true. I have blindly took flat because the project was approved by few major financial banks. If anything goes wrong in future, It is a bank that’s gonna suffer then on what bases they issue loans. Also discussed the OC and CC issue with society and they are even more confused on it. One last : What if a building does not have OC and CC but all flats are sold and builder ran away they how we would get it regularise, any know case you have….. If the property is in Gram Panchayat limits, their OC can be considered as a valid one. Kindly check if the building sanction plan is also approved by gram panchayat. The sufferers would be the Flat owners. There are plenty of cases where flat owners had to play hefty penalties to regularize their properties. I have registered the property by paying 20% amount and rest I have taken loan from HDFC bank. It is under construction phase and I am paying Pre-EMI. As i got loan from reputed bank so not checked through legal advisor. You may insist on getting OC from your builder. You along with other owners can also apply for OC. You may like reading: Under Construction property & Home loan tax benefits. Thank for the suggestion. Definately once construction is over we are going to ask for OC but what if he did the same to us what he did to his previous project customers . As 15% is yet to pay like development charges ,possession etc…Shall I stop giving payment or keep a portion of it for safer side something like that..and say that I will pay the rest after OC..Is this possible I can do…this way.. or shall I pay the rest of amount..and then I asked for OC…as in this case I m worried he may give or may not give once he received all payments…? Or if anything else you can suggest ? The payments are dependent on the terms & conditions that both of you have agreed upon (in sale agreement). If it is possible to do so, you may make the final payment later on. Thanks alot for your suggestion. One question -I have purchased 1 bhk of built up area 615 sq ft. but in agreement it is 39.57 sq m =426 sq ft built up area.I have done registration and HDFC home loan is also sanctioned.When asked about this difference he saying we have to show 20 to 25% less as per the government guidelines.Also he say we have offered same to all 1 bhk buyers.My property comes under gram panchayat. Is this difference normal…? Or it may be an issue ..
Could you please suggest something ? Thanks in advance. Dear Kamlesh..What price did you pay for? 426 or 615 sq ft? I paid as per the current rate i.e. 4500 per sq ft.
Dear Kamlesh..My query was on the area? 4,500 * 425 sq ft or 4500 * 615 sq ft. If you have paid for 615, the sale deed has to be for 615 right?? I have paid for 4500*615 sq.ft but it is 425 sq.ft on agreement.He has offered same to 1 bhk buyers .He told me to check it and confirm from the government registration site fo any doubt .So i have checked on e search government registration portal with details of recent buyers and I have found it he has provided same to all buyers.I dnt know y it is so ? Dear Kamlesh..If you have paid for 615sq ft and if your house area measures 615 sq ft, I believe that sale deed should reflect the same. Something fishy?? Why Nationalised bank like ICICI and HDFC have sanctioned loan then if it is not appropriate…. For 1 BHK(615) = 39.57 sq m =426 sq ft.
For 1 BHK(625) = 39.91 sq m =430 sq ft.
Do I need to worry on this or it is OK as project is sanctioned also by nationalised bank.Do I will face any issue in future while selling or demolition or something like that or it is Ok .Could you help or suggest on this will be helpful to me. Personally if I am buying a property and I pay X amount to possess a 1400sq ft flat, I prefer to have the same measurement in the Sale deed. Anayways, you have already bought the flat and nothing else can be done now. Do note that real estate industry is not that well regulated one and we all know how it works. Just because a bank has approved a housing project does not mean that everything can be perfect with the project. We need to do our own compliance check before buying or signing the sale deed. You may consult a civil lawyer for more details on this issue. Thanks for the suggestion.Now I am about to receive the possession of my flat in Panvel.But OC seems to be of Gram panchayat with approval of sarpanch.When I asked about government bodies OC (NAINA).This area comes under NAINA- government civic body 2013.He told me that approval was done by the collector before 2013 hence OC will be given by Gram panchayat.We have not taken the approval from NAINA so how we can give OC from NAINA. Need to know Gram Panchayat OC is OK and a valid one ? Wll it create any problem/issue in future ? Dear Kamlesh ..You may kindly check this with a local civil lawyer. Our apartment is located outside of Municipal area and it is under panchayat area. Our apartment builder is stating that, completion certificate and occupancy certificate are not applicable for apartments under panchayat control. Is it true. Please inform. Practically, Completion Certificate does not matter much in a gram panchayat. However Completion certificate being a document that certifies that the building has been completed as per plan approved and safe to be possessed.Therefore you should insist on getting it. If the Sanction plan and license issued by the gram panchayath then they have the authority to issue completion certificate, but as per my knowledge i have little bit doubtful whether the panchayath has authority to issue sanction plan and license. As per law the completion certificate can be issued by the authority only when if the builder has constructed the property as per sanction plan and if there is any deviation then they can’t issue the sanction plan. I really appriciate the way you are helping the customer on the right path for buying a property. Am going to finalize a 2 bhk appartment from DS Max property in Gunjur palaya road, its a OC , CC project,they have obtained CC certificate, the cost comes around 36 lac, where there are few Land owner flats are available where they are offering with lesser cost compare to builder ( 32 lac ). Note :That land belongs to Land lord & the sale deed is between the land lord & builder only. Since land owner flat is cheaper than builders price am interrest to buy a property there. Since they are offering at lesser price i have an doubt whether any problem comes & what could be the pros & cons behind that. Kindly guide me . Based on the joint-venture agreement between land owner & builder, the no of flats are divdided among them. So, the land owners have the freedom to sell/market their flats on their own pricing terms. Also, get a legal opinion on this property. All the best! We have purchased a Flat and formed the association. The Builder has not given any CC or OC. But we have individual Electric and Water connection (How he got it, we don’t know). The building has some violation as per commencement certificate. Now, how to get the CC & OC. How we have to approach the builder ? What should we do if he is not taking up the regularization. I know many people whose conditions are similar. Your builder has to apply for CC (construction completion certificate) with the local civic body after which you through your society as a group can approach the civic body and apply for PCs. Dear Ramya..Suggest you to approach him as a group (residents welfare association of your apartment) and submit your request. My building does not have an OC but my broker says we have Bagota. Can u tell me the relevance of Bagota and is it useful. Dear Tery..I am not sure about Bagota, I have no idea about it. I booked a flat in April 2012 and registration was done in June 2012. My flat is part of Phase 1 of a special township upto Phase 5. Phase 1 possession was promised in Dec 2013 but still it is going on. Our agreement listed a long list of amenities and also a clause that it will be completed within 3 yrs. As of now, builder has started asking people to take possession by paying last disbursement and maintenance fund. And he is providing No Dues and Provisional possession letter in return. Few people have paid the full amount and occupied their flat. 1) Can we get tax exemption on the basis of No Dues and Provisional possession letter? 2) My understanding is we can get tax exemption only if we obtain Occupancy certificate or completion certificate which I believe is provided by Muncipal Authorities. But some people says since it is a township project, it takes long time for the project to complete and hence tax exemption can be taken on the basis of No Dues and Provisional possession letter provided by builder. Can you please clarify? 3) Assuming we take possession of flat along with No Dues and Provisional possession letter, can we rent the apartment? If you can provide details to above points or direct me where I can find relevant information, that will help me & other blog readers a lot, as this is a situation which most buyers face sooner or later. 1 – Is the ‘letter’ issued by your builder or any civic body? 2 – I am not sure about this and you may check with your employer if they accept this letter as a valid doc. 3 – You can rent. Suggest you to become the member of Residents Welfare Association society (if formed) and as a group try to get PC from your builder at the earliest. 1) By the builder, they say they’re awaiting completion certificate from authorities. Dear Vicky..It is risky to occupy such properties. Your builder has to arrange for CC & PC. Hi … The 1st paragraph of your artcile says: Occupancy Certificate is also known as Possession Certificate (PC). Does Possession Letter also means possesion certificate or Occupancy Certificate? Our builer has said after full payment posession letter will be given. Dear Prachi..Yes its one and the same. Does apartment built on BDA ‘A’ khata site need OC ? The aprtments are constructed using 2 60-40 BDA A khata sites .The builder has CC and has completed 70% of this project comprising of 14 apts . When we asked about the OC he said all their completed projects are using 60 -40 sites combining together or alone and they till date of their 25 yrs of experience did not issue any OC for their completed projects . He says this building is within the violation norms and is according to the master plan . SO the question is does these flat need an OC ? Adding to the above , The Project is BDA/BBMP approved and SBI has approved for the loan . First of all I would like to thank you for taking initiative and guiding people on such critical and sensitive matter. I am buying a ready possession flat in Wagholi area ( Pune) comes under gram panchayat ( non PMC area). I have already paid the token money for the same. Now I have a few questions and seek clarification from you. 1. Which are those necessary documents which could be asked from the builder? Few wings are already occupied, and few are under construction. We are contemplating the one which is ready possession. 2. We had asked for the OC, we were told that it is not required and only CC is required which has already been received. Can this be correct? Are you familiar with any such cases where OC is not needed? 1 – You may ask for copies of building plan approval, construction completion certificate, possession certificate, approvals from Electricity/sanitary/water boards etc., If it is a joint development project then you may ask for copy of agreement doc. 2 – OC is required. You may check with other flat owners (who have already occupied the flats). Thank you for helping out people here. It’s really a nice work. I have also few questions which came to into mind after meeting several builders. Is it possible to get A khaya? 3. Check list when person is going to buy BDA approved under construction & Ready to move . 1 – What is Khaya? They should get cc & issue OC to all the Flat owners. Kindly visit this link for more details. Sorry it was typo , Khaya , Khara refers to Khata means i was trying to refer A Khata. >> Builder is telling , flat will be transferred to you as A khata . My question ;- is it possible to have flat as A Khata without certificate ? shall i go for it as per your opinion ? I met a builder who has BDA approved for G+4 for 150 flats and has commencement certificate but he is telling i will not provide OC . it’s ready to occupy and more than 50 families are staying there. so is it good to buy from this type builders ? Oh god! Even without having ‘commencement certificate’ how can they sell the flats. Big risk! Second option is also risky. If I am in your position, I will ignore both the options (definitely the first one). (1) BBMP approval plan is english , Lawyer says it should be always in Kanada …Is it required in Kanada or English is also OK ? What you say , shall i go for it ? 1 – Whatever plans i have seen they are all in Kannada only. But I am not very sure about it. Your lawyer might be correct. 2 – If he gets OC then its fine. Do consider your legal expert opinion too. My lawyer is telling go ahead only when they give written in sale agreement that they will provide OC . My question is giving in writing in letter head really helps or i leave this deal ? Is it the same case with other flat owners? If so, take up this issue through your Residents’ Welfare Association. We are not getting OC from builder, he started and completed maintainence as well for a year. Most of people got loan from Sbi and lichfl, for this building. Aren’t bank check before processing loan for these building as they are taking charges for it. What could be the best option to come out from building? Yes banks have to check..but as I mentioned in the article, biggies may escape, the buyer(s) of the property may have to bear the brunt of all the misdeeds. Did builder get Completion Certificate? Have you formed Residents’ association? Our builder not supporting in any way to get the OC / Kahata , he claim the property is violated by all possible ways as we know our apartment has deviation in form of set backs and builder also claims we wont get Kahta/OC/ what should be the better way to g0 ahead do we need to go legally or approach consumer forum. Surprising to know that your builder is agreeing that all sorts of possible deviations have been committed while constructing the building. If you were aware of these, why did you buy this property? Did you take legal option before buying it or took any home loan on it? Did you form any Residents’ welfare association? Initially he informed that it 25% deviation and later we come to know that he had constructed 1 BHK flat and he is treating it as pent house . When i had mentioned about deviation it all about set back’s . We are in process of registering the association. Did you builder receive Completion Certificate? If yes, then you can approach your local civic body (preferably as a group) and apply for OC. We had received OC from the Builder, but as some flat are pending for sale the builder is not forming society and also charging high maintaince charges without any details being provided. Dear Chetan..you need to discuss this with other flat owners and sort this out with your builder. It is very informative. Thanks a lot. Let me after my builder now. Thanks for the informative post Sreekanth. Which Latest Tax receipt has to be submitted for obtaining Occupancy Certificate? The one the buyer files ITR? I should have mentioned it as Property Tax Receipt. It is not Income Tax Return.